Claims that Russia is allegedly encouraging chemical weapons’ use in Syria are “hysteria” and attempts to discredit Moscow, the Russian Foreign Ministry has stated, adding that it is unacceptable to blame Damascus for it based on media reports. Moscow believes that it makes no sense for Damascus to use chemical weapons as only the opposition could benefit from it. “Of course we expected that the mechanism and the OPCW fact-finding mission would ensure a completely unbiased and a highly professional manner of investigation to decidedly and conclusively establish the guilty party. I shall say straight away that these expectations were not met,” the head of the Non-Proliferation and Arms Control Department of the Russian Foreign Affairs Ministry Mikhail Ulyanov said at a briefing. When experts finally did arrive, they refused to take samples, the Russian ministry official said, noting that Moscow suspects “sabotage” in the work of the experts. “Actually, this is a scandal: this is an attempt to mislead the international community,” he told reporters. The report into the chemical attack contains words “supposedly,” “likely,” etc, which mean that the findings of the document can be questioned, according to Moscow. According to Russia’s findings, a Syrian warplane was in the area, but it was 5 km away from the site and couldn’t drop the bomb on the site due to the plane’s technical characteristics. Eyewitnesses also didn’t see a jet above Khan Sheikhoun, a Russian Defense Ministry official has said, emphasizing that due to these facts it is incorrect to say that a Syrian Su-22 could have dropped a bomb on the town in Idlib. 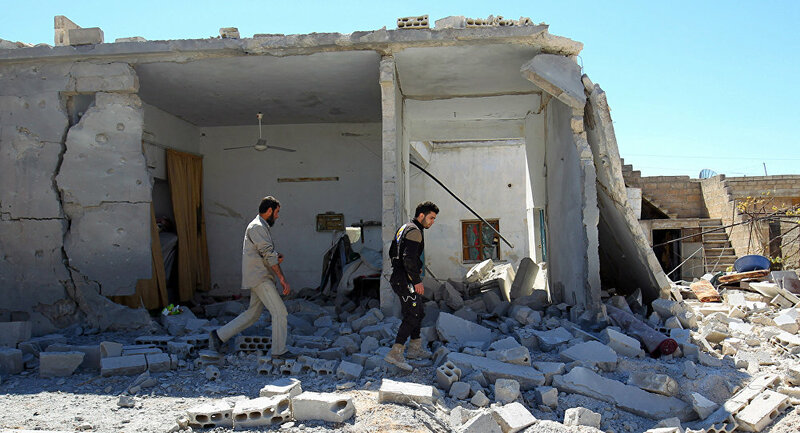 Moscow has been calling on OPCW-UN experts to probe whether the Khan Sheikhoin events had been staged but have received a negative response.Based on the way the bomb crater looks, the ammunition that hit Khan Sheikhoun exploded on the ground, the Russian Defense Ministry said. As a Russian chemistry expert has noted, claims of unique characteristics of sarin, which was confirmed to be used in Idlib, are baseless. According to the photos of White Helmet volunteers, they touched the alleged chemical weapon with their bare hands, if it was sarin, they would have died. 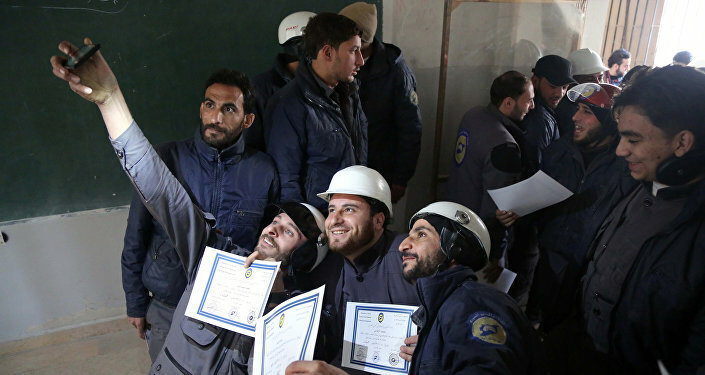 However, Moscow has welcomed that the report agreed that photos made by the White Helmets organization’s volunteers who are believed to be connected with al-Nusra Front-linked are fake and staged. The Khan Sheikhoun incident that took place in Syria’s Idlib province on April 4, 2017, left 80 people dead and injured 200 more. While the National Coalition for Syrian Revolutionary and Opposition Forces, supported by the United States, immediately blamed the Syrian government for using the chemical weapons against civilian population, Damascus has strongly denied the allegations and reiterated that it does not possess any chemical weapons’ arsenal, the full destruction of which was confirmed by the OPCW. Commenting on the accusations against the Syrian government, Russia has multiple times reiterated its position that all chemical weapons were taken out of Syria in mid-2014with Washington’s assistance and called for a thorough probe into the Khan Sheikhoun events. Why is George Clooney supporting al Qaeda in Syria? Editor’s note: VT has been telling this story since 2012. We debunked the sarin attacks blamed on Damascus, debunked the shootdown of MH 17 and placed the blame firmly on Kiev, we followed intelligence agencies across Africa, setting up terror groups there as well. American former comedian Bilal Abdul Kareem was embedded with Al-Qaeda and other “moderates” in eastern Aleppo, promoted their narrative and interviewed Saudi terroristAbdullah Muhaysini. Yet, corporate media like CNN have presented him as an “independent” source of credible information on Syria. In July 2017, the Washington Post reported on an Israeli attack on Syria, citing Benjamin Netanyahu as saying they had attacked Syria “dozens” of times. Mint Press News reportedon Israel giving medical treatment to over 3,000 terrorists. A 21st Century Wire article said the preference of Israeli politicians was even for an ISIS victory in Syria. Can this claim be verified by corroborating evidence? Can Israel support this thesis by presenting serious facts other than the claim itself? Well, the regime has never presented anything serious to the international community. And no Zionist outlet has ever challenged them. They couldn’t dare write something like, “Israel Unlawfully Bombed Damascus Airport” because that would implicitly say that the international community would have to question Israel’s motive. They had to put a spin on it because we all know that the Syrian government is a bad regime, right? We all know that the Assad is mad because he relentlessly used chemical weapons on his own people, right? The Syrian government has asked the UN Security Council to condemn Israel’s recent attack, but there is no sign that they will do so. Here are a few questions for lawyers, legislators and government officials out there: what do you do with a person who constantly violates the law? What if you have enough evidence to show that the same person has a history of getting involved in criminal activities? Do you ignore it as if everything is fine? Or do you proceed to prosecute the person? If the person gets convicted, do you let him go and tell him, “Hey, here’s a check for 3 billion dollars”? Then why isn’t much of the Western world even attempting to prosecute Israel for its relentless crimes in the Middle East? Russia has asked the Israelis to provide serious explanations for their attacks on Syria in the past, but the regime apparently is not listening at all because they are working with an essentially Talmudic/satanic ideology which seeks to destroy virtually the entire Middle East. For its own good, Russia needs to press Israel on this issue because continued attacks by the regime challenges Russia’s very presence in the region. “the city of Deir ez-Zor, the biggest in the country’s east and the last stronghold of the Daesh terrorist group, has been completely liberated. 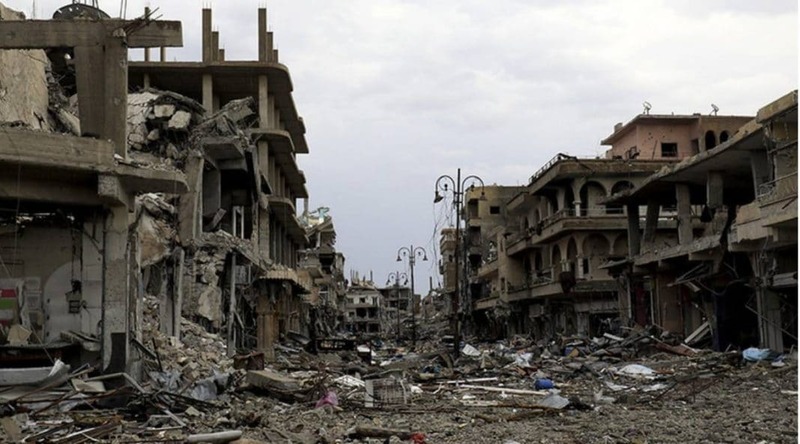 After the three-year-long siege of Deir ez-Zor was broken on September 5, the Syrian government forces announce they have cleared the city from last Daesh fighters, which marks another key defeat for the terrorist group, which has recently lost most of the territory it occupied during the Daesh rampage across Syria and Iraq in 2014. That is indeed a bad news for the Israeli regime. They know that they are losing the war in Syria; they know that Assad, with the help of Russia, is destroying ISIS; they know that Assad is stronger; they know that they haven’t been able to fool everyone with their deliberate fabrications, complete hoaxes, and just plain lies. Their only recourse is to attack the Syrian government on false charges. Well, the world is waking up, and the Israeli regime will find it hard every year to convince people of reason about their diabolical plan. More importantly, people of reason will never bow down to their claptrap. “Syria war: Israeli jets ‘strike factory near Homs,’” BBC, November 1, 107. “Syria Blames Israel for Attack on Damascus Airport,” NY Times, April 2, 2017. “Syria calls on U.N. Security Council to condemn Israeli strikes,” Reuters, November 3, 2017. “Russia summons Israeli ambassador to explain air raids in Syria,” Guardian, March 20, 2017; “Russia wants Israeli explanation for ‘aggressive actions’ in Syria,” Jerusalem Post, December 8, 2014. 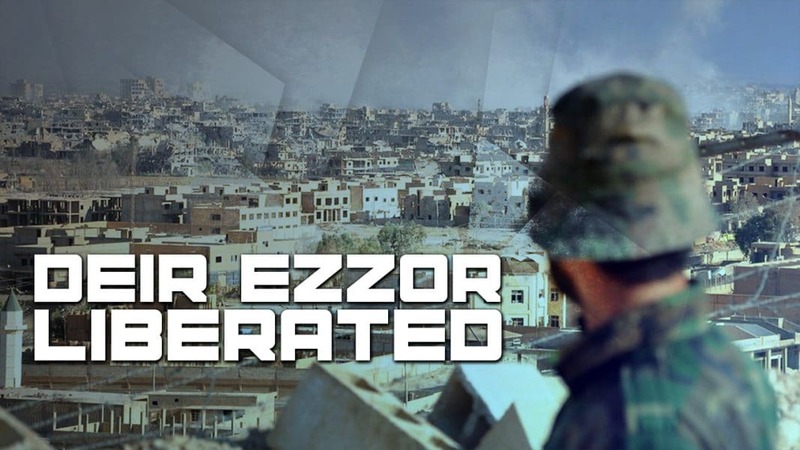 “Syrian Army Fully Liberates City of Deir ez-Zor From Daesh,” Sputnik News, November 3, 2017. The Western Balkanswill be a central priority of the Bulgarian EU Council presidency, which starts on January 1st. This is both a very good and a very bad piece of news. Very good because this region is strategically very important for the Union. Very bad because the subject is too big a spoon for the Bulgarian mouth. The big event of 2018 will be the mega summit EU-Western Balkans in Sofia. On May 17, the leaders of the 28 EU member states and of the six Western Balkan countries will gather together in the Bulgarian capital. This was confirmed in the leaders’ agenda which European Council President Donald Rusk (Poland, EPP) proposed at the autumn EU summit and was approved unanimously. The ambition of the Bulgarian presidency is the May summit to provide the region with a new perspective for its European integration. Such a huge event related to the Balkans’ European future has not taken place since 2003 when the Thessalonнki agenda was agreed, the main objective of which was to state loud and clear that the future of the countries in the region belongs to the EU. The approved tasks back then, alas, continue to be quite topical 14 years later, and those are: continue the consolidation of peace, stability and democratic development; progress in the European integration; fight against organised crime; economic development; reconciliation and strengthening of regional cooperation. In the agenda, a special emphasis is put on the inviolability of international borders, seeking peaceful solution to conflicts, fight against terrorism, violence and extremism no matter if it is ethnically, politically or criminally motivated. Fourteen years ago, the EU stated clearly that it supports activities and initiatives in the region that boost social cohesion, ethnic and religious tolerance, multiculturalism, return of refugees and displaced persons, fight against regressive nationalism. After the adoption of the agenda, the leaders of the member states adopted conclusions which stated that the aspiring countries are expected to share the European values of democracy, rule of law, respect for human and minority rights, solidarity and market economy, “fully aware that they constitute the very foundations of the European Union“. The then EU leaders hardly suspected that this issue would not only remain painfully topical for the Western Balkans but for some new EU members, who only 2 months before the adoption of the Thessalonнki agenda had signed their accession treaties. They hardly expected that the Union would be flooded by Euroscepticism, which led to the first ever exit of a member state. Nevertheless, they prophetically underlined in their Thessalonнki conclusions that the countries from the region are expected to “fully share the objectives of economic and political union” and to support the creation of a stronger Union. Today, 14 years later, the situation in the Balkans is both different and the same. Different because the political geography has changed – Slovenia, Croatia, Bulgaria and Romania are now members of the EU; Serbia and Montenegro are actively negotiating their membership; and Macedonia only has a candidate status but does not negotiate. Bosnia and Herzegovina is in a process of filling the European Commission’s questionnaire, which is the first step toward receiving a candidate status and Albania hopes to receive such a status. In the mean time, Kosovo is already an independent state which, however, is not recognised by five EU member states, but the Union facilitates a dialogue for normalisation of relations between Belgrade and Pristina, which is part of Serbia’s accession process. After Thessalonнki, the EU thought that the ambition of the countries in the region was irreversible and that is why it took a position of waiting for them to do their part of the work. This has proved to be a wrong approach which dumped the region in a continuous deadlock and created a fertile ground for a renewal of hostilities among the countries in the region. Currently, relations between the former room-mates in ex-Yugoslavia are at their worst condition since the end of the wars, which forced the EU to urgently start looking for ways to “return” to the region, which is a sphere of interest for big and not quite friendly geopolitical players too. Macedonia turned from a champion in 2005 to a captured state, threatened by an ethnic conflict. Bosnia and Herzegovina is again fragile with growing inter-ethnic tensions and calls for secession of the Serb entity. Serbia is still hesitating whether it really wants to be part of the EU, trying to play the Russian card as well. To many in the EU, President Aleksandar Vucic is a pro-European leader, but this is only in words. In terms of actions, he is another one who chose the illiberal path. In the country, a process of rehabilitation of the Milosevic regime is taking place, nationalism is again in fashion in almost all the countries in the region, the rule of law is an incomprehensible concept which looks more and more impossible to plant, democracy is perceived by the local elites as a tool to consolidate power and crush opposition, progress in the European integration is only measured by the opening of chapters, and the accession process is politicised more than ever by the EU itself. In other words, the Western Balkans are a combustible region again, which needs a restitution of the Thessalonнki spirit, hoping that the effect it had back then will be repeated. Against this background, Bulgaria, not very reluctantly and under pressure from Germany, took the ambition to put the region under the spotlight of the EU. Each Council presidency has to have a priority of its own. Estonian presidency, for example, is focused on digital economy because Estonia is a digital champion and is known worldwide with the nickname E-stonia. Bulgaria does not have much to boast with in addition to the fact that it is blocked from further integration in the euro area and Schengen by its systemic problems with justice and the rule of law in general. Ten years after its EU accession, Bulgaria is still under special monitoring. Germany’s motivation, as well as that of other countries, for which the region is very important, is that Bulgaria is part of it and it is presumed it has experience. The problem is, however, that the country has been very passive for decades in this region. Its external policy toward it is reduced to stating support for its European integration. Through the years, Bulgaria turned from an unconditional supporter of Macedonia’s European integration (whose independence the country was first to recognise) into another veto for its membership, putting as pre-condition the signing of a friendship agreement. Bulgaria is not even a member of the Berlin process – the initiative of German Chancellor Angela Merkel for economic support for the region. According to well informed sources euinside spoke with, the logic of the Bulgarian diplomacy has so far been that there are two types of countries that participate in the Berlin process – donors and beneficiaries. Bulgaria neither has anything to give nor does it have anything to take, which is why it was decided to stay away. Because of the lack of serious initiatives in the region and notable presence Bulgaria is starting from a position of any other country which is not a geographical part of it. Bulgaria only this year started trying to position itself in the region, but is doing this with a leader who is dangerously ignorant when it comes to fundamental issues of its history. The Western Balkans are in his mouth on a daily basis, but this could be as harmful as it could be useful. He is not even aware of the basic terminology for the region, which is of major importance for the messages that will be conveyed not simply by Sofia, but by the upcoming Council presidency of the EU. For example, he uses the word “package” having in mind something completely different, without taking care what a dangerous meaning it has in the context of enlargement. In the beginning of October, Bulgaria hosted a quadrilateral summit in Evksinograd with the prime ministers of Greece, Romania and the president of Serbia. 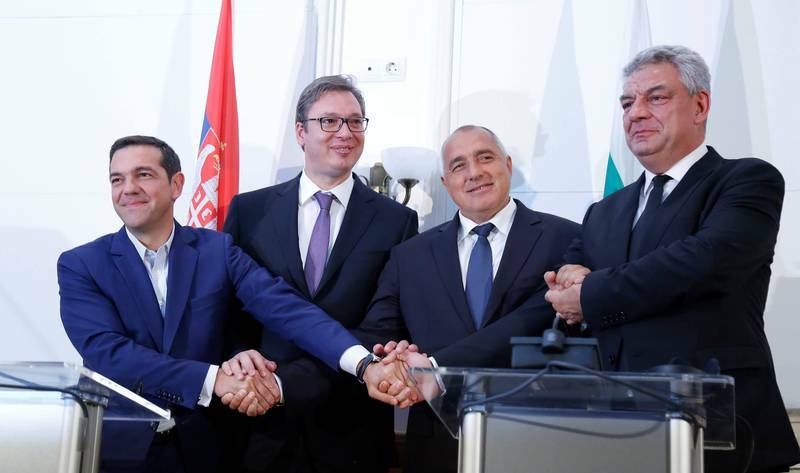 The fact that only Serbia was invited led to speculation that a Balkan four is emerging (following the example of the Visegrad four) – something Mr Borissov was quick to deny. He underscored that what brings the four leaders together is their interests in infrastructure. Borissov half-heartedly added that the format was open for the other countries in the region too – Albania, Montenegro, Macedonia – depending on the projects. The fact that he met with some and not with others is already noticed in the region. During the autumn European Council in Brussels on October 19-20 Boyko Borissov said, without being asked, that his Croatian counterpart Andrej Plenkovic asked him why does he not invite him. “And I tell him, just wait for those who are lagging behind first and then we will join“, Borissov said he told Mr Plenkovic. The Evksinograd summit had a very bad timing too – it took place just two days after the bloody clashes in Catalonia, which strongly reminded of the Kosovo situation in the beginning of the 1990s. Despite the similarities though, Kosovo is not Catalonia and Serbia is not Spain. But to Belgrade this is a door to try and get rid of chapter 35 which covers relations with Kosovo and will be closed last. Another problem is that two of the countries whose leaders were present at the summit – Greece and Romania – have not recognised Kosovo but Bulgaria has. In such an environment, Borissov left Aleksandar Vucic to make his wrong and well known claim about the double standards the EU applies to Kosovo and Catalonia. Wrong because the Kosovo independence was possible after Slobodan Milosevic started massive ethnic cleansing in the province which led to NATO’s intervention. The Catalan case is completely different – there is no ethnic cleansing nor repressions, which makes Serbia’s claim unjustified. The Bulgarian prime minister’s lack of good background is a pre-condition for such gaffes to happen in the future as well. And it was not necessary to wait long. Last week, the premier made several gaffes during his official visit in Sarajevo. 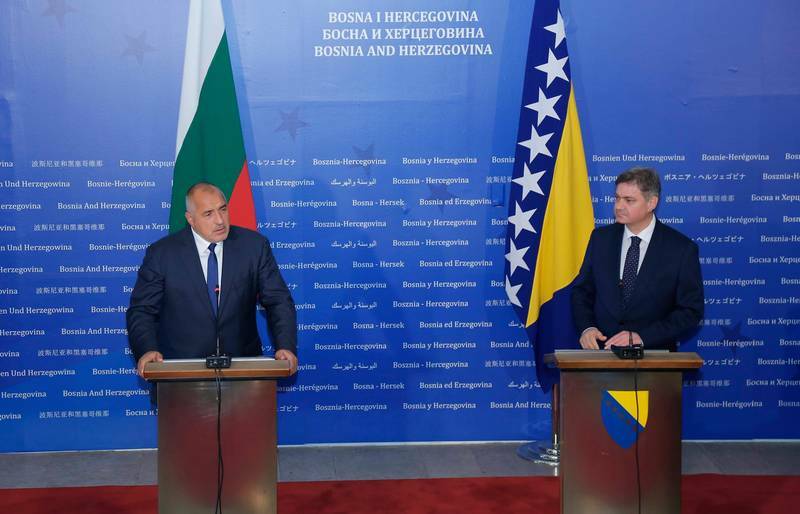 During a joint presser with Bosnia and Herzegovina’s Prime Minister Denis Zvizdic, Mr Borissov said that the Western Balkans will be a main priority for a series of presidencies. After the Bulgarian one comes the presidency of Austria, he said, and as if for consolation he recalled that Austria was here before during the Austro-Hungarian empire. Words that do not sound well in a city where the Austrian Archduke Franz Ferdinand was assassinated on 28 June 1914, which marked the beginning of World War I. In an attempt to explain how stupid the historical disputes are and the conflicts based on them, Borissov asked what would happen if Bulgaria went on to remember about its territories during Tsar Simeon’s reign. The Bulgarian prime minister’s ignorance is to some extent compensated by the fact that he truly understands how important it is to work with the Western Balkan countries. The problem is that he has no idea what to do. The quick agreement of the friendship agreement with the new Macedonian government is an excellent example of de-blocking of long lasting problems in the region. It could serve as a boost for lifting the Greek veto over Macedonia’s negotiations process and is an example of constructivism and will for regional cooperation for the rest of the region. Given the complicated situation in the Western Balkans, the strong geopolitical element included, the Bulgarian presidency will be a walk in a mine field with its central priority. The ambition of the presidency is the countries of the region to receive a clear commitment in Sofia on May 17. The more advanced countries in the negotiations process, like Montenegro for example, could get a concrete date for accession, whereas the rest could receive a timeframe of around 4-5 years. To Macedonia it will be a success if it receives a green light to start negotiations. Albania expects to receive a candidate status. Bulgaria also wants to inject some practical contribution to the summit, which will be a difficult task because the Bulgarian presidency has to avoid duplicating the Berlin process. 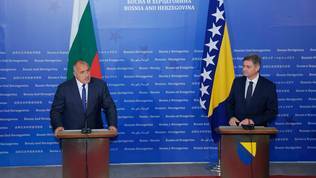 Prime Minster Boyko Borissov said he wants a significant increase of the pre-accession funds for the region. To him the significance of the May summit is “now or never”. “I feel that everyone realises that the Balkans are a place which, if we do not invest attention, including in terms of European projects or common accession projects, we will lose them. I feel in all colleagues an interest and I’m an optimist in this direction. Undoubtedly, this is the poorest region“, he said after the European Council meeting in October. His desire is Sofia to break a news, the summit to give a real perspective for the region not just end up as another protocol event. The situation in which the EU finds itself, the Western Balkans as well, is completely different compared to 2003. The Union is on its way to make a great jump in the deepening of its integration, but it’s no longer that united as it was 14 years ago. A multi speed Europe is no longer a taboo but a real perspective, created by the retreat of some new member states from the European system of values. That is why, it will be important the Sofia conclusions to include the text from 2003 which demands a pledge by the countries of the region to this system. Not less important is to invite these countries say what a Union they want to join – a more integrated one or a looser community. This could give the Union an idea what can be expected of them after accession, although by the time they join governments will change and probably attitudes. The answer to this question can also hint at what compromises can be made with them. Regional relations are a dangerous reef. This issue should be approached with care, especially against the backdrop of the developments in Catalonia which, at this stage, show that they could have an impact on the Belgrade-Pristina dialogue. Normalisation of relations between Kosovo and Serbia is included in a separate chapter of the negotiations with Serbia and certainly it will be a major obstacle for its accession, unless a solution to Kosovo’s status is found. Such a solution would also demand the EU to resolve the issue with non-recognition of Kosovo by five of its members – Romania, Spain, Slovakia, Cyprus and Greece. Bulgaria will make a mistake if it relies only on its own self and its too weak capacity for the Western Balkans. The success of the summit in Sofia will be difficult but real if it is prepared jointly with the fellow member states from the region, like Croatia, Greece, Romania, and the direct involvement of the European Commission, High Representative Federica Mogherini (Italy, S&D) and the European Parliament rapporteurs for the countries in the region. The Western Balkans are too important to be left in the hands of a single presidency. Boyko Borissov hopes the issue will remain in the spotlight of the Union because of a series of committed presidencies. What about after? The Sofia summit has to answer this question too. Did Trump really work with the Kremlin? Ex-CIA agent and whistle blower agent John Kiriakou “Veteran Intelligence Agents for Sanity” fills Jimmy Dore in on the facts. Truth is truth and political bias is political bias. Message to zealots: If you don’t like Trump, fine. Make the case, but don’t make up facts. Is Donald Trump dumb on purpose? The United States has always seen Saudi Arabia as an asset. US officials know that the Saudis have been in the business of committing terrorist crimes and abusing their citizens since the beginning of time. But US officials have ignored this for years, and now Trump is complaining that the alleged terrorist in New York deserves death penalty? Let us grant Trump this premise and apply it to the Middle East. How in the world can Trump support terrorist states like Saudi Arabia? How could this man tell the American people last year that the Saudis were accomplices in the 9/11 attack and then made a deal with the same Saudis one year later? Isn’t it safe to say that this man is actually dumb on purpose? Will Trump stop supporting the Saudis? Will he eventually come to his senses and start taking things seriously? Or will he continue to make diabolical deals with terrorist states? Last month, Foreign Affairs published an article in which it conclusively detailed that the so-called moderate rebels in Syria and Iraq were actually ISIS and al-Nusra. As the article put it, it was “the moderate face of al-Qaeda” or ISIS. America is still supporting those terrorist groups under Trump. Again, can this man really tell us that he really cares about civilian lives? Does it make sense for him to tell us that he felt sorry for the alleged attack in New York? “Saudi Arabia close to deal to buy $1.15bn worth of military equipment from US,” Guardian, August 10, 2016. Mark Landler, Erick Schmitt, and Matt Apuzzo, “$110 Billion Weapons Sale to Saudis Has Jared Kushner’s Personal Touch,” NY Times, May 18, 2017. Colin P. Clarke, “The Moderate Face of al-Qaeda: How the Group Has Rebranded Itself,” Foreign Affairs, October 24, 2017. Posted in USAComments Off on Is Donald Trump dumb on purpose? NYT Balfour anniversary discovery: Zionists are psychedelic sea slugs! Posted on 03 November 2017. 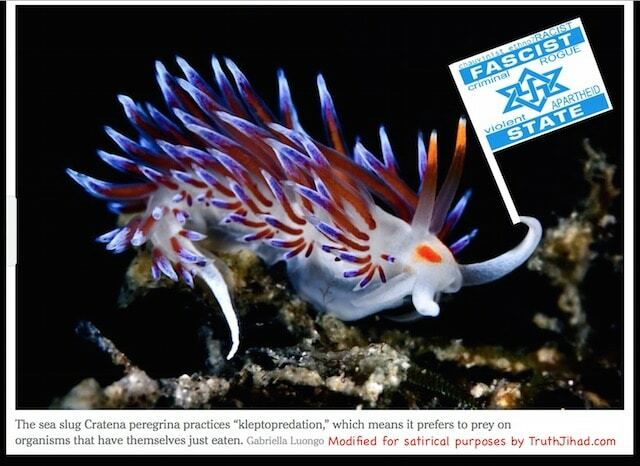 Tags: Zionists are psychedelic sea slugs! 100 years to the day after the Balfour Declaration, the New York Times has finally published its long-awaited exposé revealing the hideous truth behind the phenomenon of Zionism. But that story does not appear on the front page. Instead, it is in the science section. THINK OF IT LIKE WIELDING A LIVING (EDIBLE -KB) FISHING ROD. OR EATING A TURDUCKEN. WHICHEVER YOUR PREFERRED ANALOGY, KLEPTOPREDATION — USING ONE PREY ITEM TO OBTAIN ANOTHER PREY ITEM — FALLS OUTSIDE ECOLOGISTS’ TRADITIONAL CLASSIFICATIONS OF FEEDING BEHAVIOR. THERE’S PREDATION, AND THERE’S SO-CALLED KLEPTOPARASITISM (WHEN ONE ANIMAL TAKES FOOD FROM ANOTHER ANIMAL, LIKE A PACK OF HYENAS STEALING A FRESH KILL FROM A LION). BUT KLEPTOPREDATION IS SOMETHING NEW. Or maybe not so new. Kleptopredation precisely describes what the Zionists have done to the British and US empires and their prey, starting with Palestine. 100 years ago, the Balfour Declaration enshrined the most audacious act of kleptopredation in human history. The Rothschild Zionists manipulated the world’s then-biggest predator, the British, into devouring prey it otherwise never would have captured (the Ottoman Empire including Palestine). A few decades later, the Zionist kleptopredators employed massive terrorism against the big-predator UK to force it to withdraw from its kill. The Zionists have been eating Palestine alive ever since. Since devouring Palestine, the Zionists have also gobbled up not only the entity formerly known as the British Empire, but its successor, the US Empire, as well. Below are extracts from Laurent Guyenot’s book From Yahweh to Zion (to be published in English this January) offering some of the details surrounding the kleptopredacious Balfour affair. In October 1916, England was on the brink of defeat. The submarines invented by the Germans had given them a decisive advantage, wreaking considerable havoc on the supplies of the Allies. Germany proposed a just peace, based on a return to pre-war conditions without compensation or redress. It was then that anti-Zionist Prime Minister Herbert Asquith was dismissed from power following a press campaign and replaced by David Lloyd George, who appointed Arthur Balfour as foreign minister. Lloyd George and Balfour were Christians influenced by dispensationalism in favor of Zionism. … According to a report of the Palestine Royal Commission of 1937, Lloyd George explained the deal in those terms: “Zionist leaders gave us a definite promise that, if the Allies committed themselves to giving facilities for the establishment of a national home for the Jews in Palestine, they would do their best to rally Jewish sentiment and support throughout the world to the Allied cause. They kept their word.” Churchill confirmed this, as did Rabbi Emanuel Neumann of the Zionist Organization of America: “Britain, hard pressed in the struggle with Germany, was anxious to gain the whole-hearted support of the Jewish people. […] Britain’s need of Jewish support furnished Zionist diplomacy the element of strength and bargaining power which it required to back its moral appeal.”What is left implicit in these declarations is that the Balfour Declaration was a pledge given by the British government to the Zionist movement in exchange for its efforts to bring the United States into war. Among the architects of the secret diplomacy leading to the Balfour Declaration, Nahum Sokolow praises very specifically “the beneficent personal influence of the Honorable Louis D. Brandeis, Judge of the Supreme Court.” Louis Brandeis (1856–1941), descended from a Frankist family (adepts of kabbalist Jacob Frank), had been appointed to the highest level of the judiciary in 1916 by President Wilson, at the demand of Wall Street lawyer Samuel Untermeyer who, as rumor has it, blackmailed Wilson with letters to his mistress Mrs. Mary Allen Peck. The influence of Judge Brandeis on Wilson was only one element of a complex system of influence. One of its transmission belts was the closest advisor to the President, Edward Mandell House, known as Colonel House even though he never served in the army. According to his biographer, House said of Brandeis: “His mind and mine agree on most of the questions.” Wilson declared: “Mr. House is my second personality. He is my self. His thoughts and mine are one.” Colonel House’s second name was taken from a Jewish merchant from Houston, one of the most intimate friends of his father, who was of Dutch descent and changed his name from Huis to House upon emigrating to the United States. His brother-in-law, Dr. Sidney Mezes, was Jewish. House perhaps belonged to those descendants of the Marranos who maintained a secret attachment to Judaism even after the annexation of Texas in 1848. It is easy to imagine how President Wilson, an idealistic and naive scholar, was manipulated to drag America into war. But the hidden counselors’ grip on the president is only one aspect of the power that Zionism began to acquire over American foreign and military policy. Another important aspect is the manipulation of public opinion. It should be emphasized that while the overwhelming majority of Americans were opposed to entry into the war until 1917, American Jews who had been integrated for several generations were no exception. Among them, Zionism had only very limited and discreet support. They believed that Israel was doing very well in the form of a nation scattered throughout the world; they feared that the creation of a Jewish state would attract a suspicion of “double loyalty” to their community; and they had no desire to emigrate to Palestine. Reform Judaism, the most visible current in the United States, had not officially denied its status as a religion or affirmed any nationalist aspiration. Chaim Weizmann explains in his autobiography that in order to obtain financial contributions from certain wealthy Jews, it was necessary to deceive them by evoking a “Jewish cultural home” (a university) in Palestine rather than a state: “To them the university-to-be in Jerusalem was philanthropy, which did not compromise them; to us it was nationalist renaissance. They would give—with disclaimers; we would accept—with reservations.” Moreover, the majority of American Jews from the old German and Dutch immigrants were rather favorable to Germany in the European conflict. It is thus a mistake to believe, as is often written, that in exchange for the Balfour Declaration, the Zionists mobilized “American Jews” in favor of war. The Balfour Declaration was signed after the official US entry into the war, and was not made widely public until 1919. The entry of the United States into the war was rather the result of a series of coordinated actions behind the scenes by a highly structured and powerful transatlantic network, including a core of bankers (some linked to the Rothschilds) and some influential newspaper directors, with those of The New York Times and The Washington Post playing major roles. Sarah Schmidt, “The ‘Parushim’: A Secret Episode in American Zionist History,” American Jewish Historical Quarterly 65, no. 2, December 1975, pp. 121–139, on ifamericansknew.org/history/parushim.html. Robert Edward Edmondson, The Jewish System Indicted by the Documentary Record, 1937 (archive.org), p. 9. Quoted in Alan Hart, Zionism, The Real Enemy of the Jews, vol. 1, op. cit., p. 117. Alfred Lilienthal, What Price Israel? (1953), Infinity Publishing, 2003, pp. 21, 18. The American Zionist, October 1953, quoted in Alan Hart, Zionism, The Real Enemy of the Jews, vol. 1: The False Messiah, Clarity Press, 2009, p. 90. Nahum Sokolow, History of Zionism (1600–1918), vol. 2, 1919, pp. 79–80, quoted in Alison Weir, Against Our Better Judgment: The Hidden History of How the U.S. Was Used to Create Israel, 2014, k. 387–475. Gene Smith, When the Cheering Stopped: The Last Years of Woodrow Wilson, William Morrow & Co, 1964, pp. 20–23. Posted in Palestine Affairs, ZIO-NAZIComments Off on NYT Balfour anniversary discovery: Zionists are psychedelic sea slugs!